Many of you saw the video that channel six filmed about how I make my own cheese for my cheesecake. I started doing this out of necessity because Philadelphia Cream Cheese couldn’t be found. 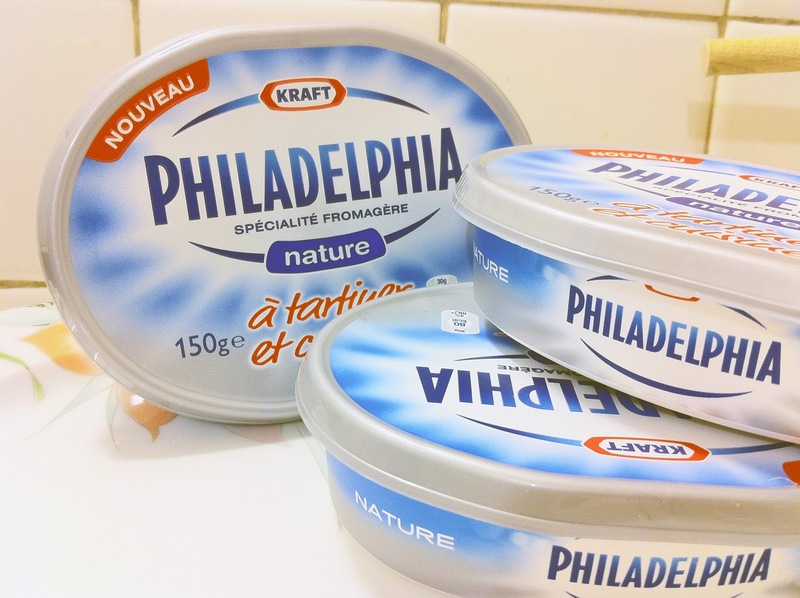 And then, wouldn’t you know it, one month after the Cheesecake episode aired on television, our Paris supermarkets start importing Philadelphia Cream Cheese! So why is Philadelphia brand so much better? I mean, France is the land of cheese, and everyone knows it. Surely there’s a cheese out there that we could use? Why do they need American imports? There is a cheese that you can use called fromage à tartiner (spreadable cheese). While it makes a decent substitute in a pinch, it’s not the same flavor or consistency, so it falls short as a main ingredient. Most importantly it is salty compared to real Philly. Since I can’t demonstrate the difference in flavor over the internet, the least I can do is show you the difference in texture. On your left, Philadelphia brand – creamy like ice-cream. On your right, fromage à tartiner – crumbly like a feta. Most Parisians I know prefer to substitute yogurt. 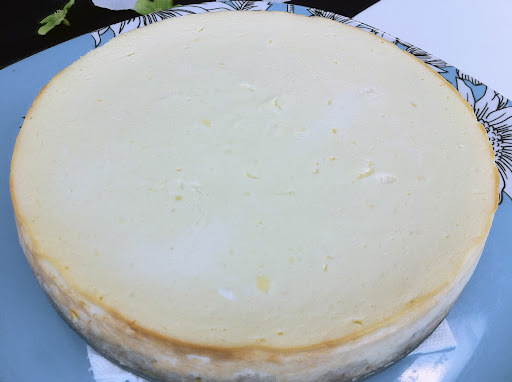 I even have several yogurt based cheesecake posts on my blog. Yogurt makes a lighter recipe for those watching their diet. It’s a great creamy substitute and it’s easy to find. But for those who attended our Pastry Night with all French recipes, you may remember that while the cheesecakes were delicious, you can’t disguise the distinctive yogurt flavor. 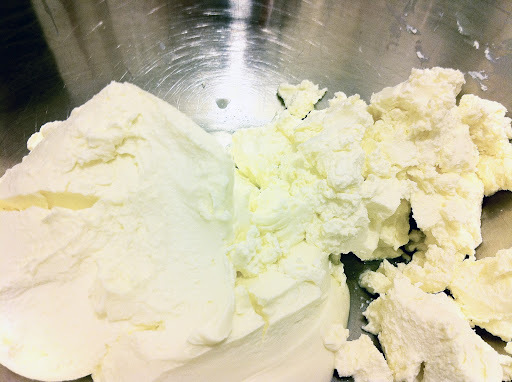 Which brings us to fresh homemade soft cheese. My homemade cheese doesn’t have any cultures added to it yet, so it’s flavor is mild. It is never as creamy as it should be, it’s just as crumbly as the fromage à tartiner. If I knew how to fix that I would, but for the time being it would just have to do. And most importantly, the flavor is pretty close. Until real Philly became widely available, now I just use to real thing and save myself the hassle.